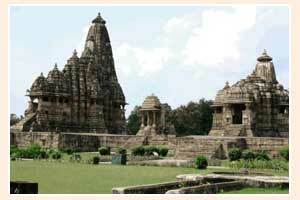 Khajuraho group of monuments were built during the reign of the Chandella dynasty. It used to be their capital between the 20th and 25th century. 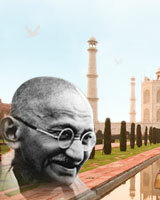 It is situated in the state of Madhya Pradesh. There were 85 temples, though only 22 of them remain. 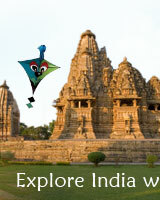 The temples of Khajuraho belong to both Hinduism and Jainism religion. A perfect balance of sculpture and architecture can be seen here. Since 1986, these temples have been considered as World Heritage Site. The temples of Khajuraho are decorated with abundance of sculptures and display some of the greatest masterpieces of Indian art. The main part of the temple now lies within fences in a park.